On Saturday, the Longhorns will display their own one-two punch at quarterback with freshman Shane Buechele and senior Tyrone Swoopes. The pair has thrived under offensive coordinator Sterlin Gilbert, who was at Tulsa last season. The Sooners must be ready for both at the 11 a.m. contest inside the Cotton Bowl. Defensive coordinator Mike Stoops is familiar with the Longhorns’ general scheme, which is rooted in Baylor’s style. 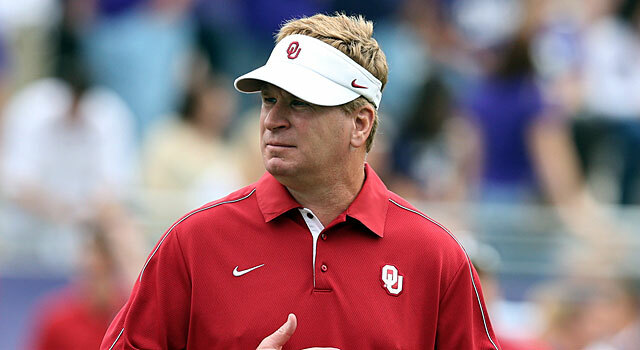 “They’re gonna come at you the same way,” Mike Stoops said following Tuesday’s practice. “People say you saw it, but what people don’t understand is these are run plays that can turn into pass plays on the quarterback’s look.